In 2001 Microsoft introduced, among many other things, an invaluable productivity improvement to its Office suite (Microsoft Office 2002 at the time), that would raise the industry standard for professionals involved with a job that requires frequent email correspondence with a large client base for many years to come. Microsoft named its new feature “Mail Merge” – a welcome addition to the Microsoft Word application, which would allow a user to take an entirely different approach to communicating across a broad client base. The idea is to change the way people are use email clients like Outlook to perform mass mailings by providing more control over the mailing activity. 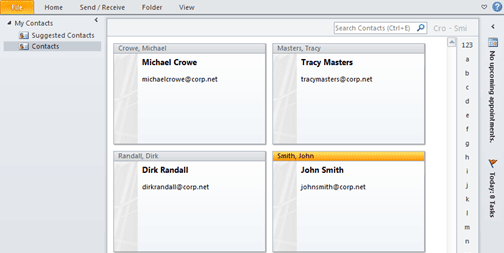 This is brought about via a tool that employs so-called “Macros” – an embedded placeholder that a user could insert into his/her documents from within the Office application interface which is later replaced by the actual data of a person on the user’s contact list (or in an external data-source). How to use Mail Merge better? The Mail Merge feature is a robust and customizable tool which provides more than one way of achieving the goal, and it is adjustable to the user’s particular use-case, situation or personal preference. 1. Utilize the feature’s choices of contact base – sometimes Outlook Contacts is a more proper choice since it is the default contacts storage. For example, if the data values required for the mailing are already present in the generic data fields like First name, Last name or the recipient’s address, additional procedures are not required. If more detailed info is needed – there is the possibility to create a database that contains any piece of information imaginable besides the ones included in the Outlook Contacts form. Carefully created just once, a special-purpose database can drastically improve both the time taken and the result of the mailings performed for a long time to come. 2. The type of the original document can be selected as well. Not only can you start composing your mailing straight within the Word application, you can also go with Outlook, Excel or Publisher: whatever application you are working in, Word can be invoked from background as the text editor to be used at any time. 3. Finally, knowing how to use Mail Merge will get you as close to complete automation as possible in relation to all the various document templates which are sent regularly and have little to no structural change (weekly reports, monthly newsletters, or annual holiday letters, to mention some common ones). These document templates, already linked to their designated data-sources, can be modified to accommodate the required changes without repeating all the previous steps of the mailing process. 4. 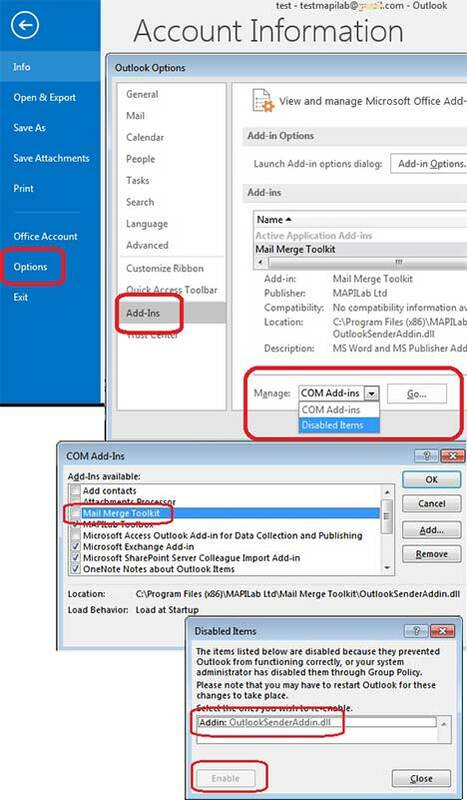 Mail Merge Toolkit improves personalization by allowing inclusion of individual attachments to the mailing (the same way it is done with regular Outlook messages) – a feature that was missing from the regular Mail Merge for quite some time. Also, a customizable subject field has been introduced, so that the time composing your mailing can be reduced to a few mouse clicks during the actual mailing process. 5. Lastly, some special features have been introduced to accommodate even the most complicated use-cases and save even more time: if your task requires sending your documents in the form of .PDF, .HTML or .RTF attachments, as well as with a customized message body – look no further than the Mail Merge Toolkit! ← Microsoft reports 1.1 billion Office users. Does the IPhone beat Microsoft Outlook in the e-mail clients market? That error message states the program fails to launch its Outlook component – either due to technical issues with Microsoft Office Outlook, or because the add-in is disabled in Outlook. 1) Please try to launch Outlook before you start mailing from Word. First, go to Outlook menu: File-> Options-> Add-Ins-> “Disabled Items” – highlight* the add-in in the list and hit “Enable”. After that, please point to COM Add-Ins and put the checkmark to the check box next to the add-in. Please see my screenshots. *If it is not listed among Disabled Items – please remove the tick from its check box in COM Add-Ins, click OK, then point back – and put the checkmark. just recently downloaded your program/add on and i keep getting this error when finally trying to submit my emails.